Last week we ended the Jacksonville Symphony’s Masterworks series with three performances of Mahler’s soul-stirring Second Symphony. It was a thrilling way to end an ambitious season. Throughout the week’s rehearsals, I was inspired by just how much fun the musicians were having playing this great music: at his best Mahler seems to understand exactly what it means to be human, with all the emotional ups and downs. It was my first time conducting the piece, making the week that little bit more intense. The first time conducting a work is especially challenging, particularly if it’s one you’ve loved for years and that everyone knows well. No matter how much you’ve studied, nothing prepares you for the surprise of feeling and hearing the piece unfold under your own direction. Listening back to the performances afterwards can be brutal – like holding a mirror very close to your face and seeing all your own imperfections alongside those things you might accept. 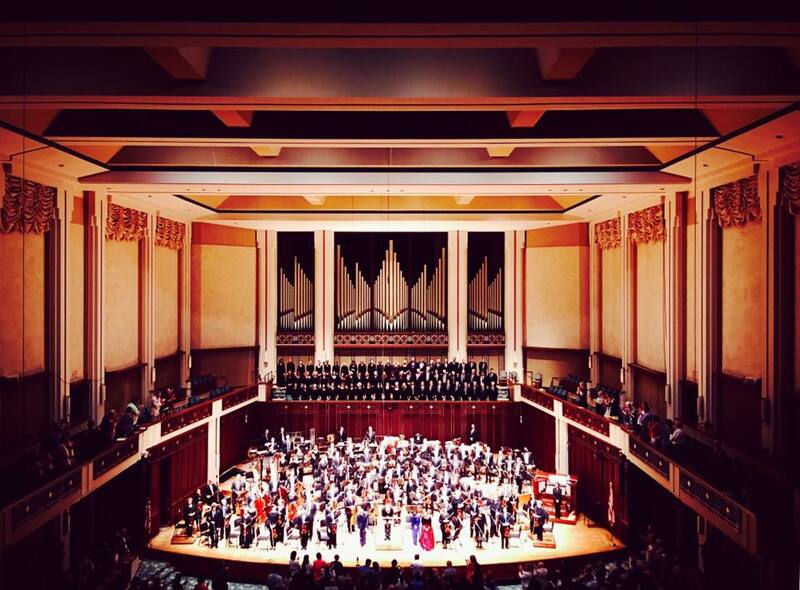 The Jacksonville Symphony and Jacksonville Symphony Chorus perform Mahler’s Symphony No. 2 at Jacoby Symphony Hall, Jacksonville, May 20, 2017. Conducted by Courtney Lewis with mezzo-soprano Susan Platts and soprano Laura Tatulescu. Many of our musicians will spend the summer playing at music festivals. I do the same most summers, including last year when I spent nine weeks at the Salzburg Festival. But this year I am taking a long break from conducting. The last few seasons have been very busy, and one can sometimes feel like a battery that everyone wants to plug into for a jolt of electricity. It’s time to recharge, do the things there isn’t time for during the season and prepare for next year. I’m often asked how I prepare for concerts. What you see and hear in performance is – if you’ll forgive the exhausted metaphor – the tip of the iceberg. Years of thinking and hours of study have taken place before the alarming sprint of the four rehearsals only a few days before the first concert. If I’m conducting a piece for the second or third time, the process isn’t so intense. I’ll read through the score at my desk many times and perhaps listen to a recording of my last performance to hear what I can do better. Often I sit with my eyes closed and think my way through a movement from start to finish, stopping if I can’t remember who plays what or if I get stuck in a loop (very dangerous) and can’t remember what music comes next. But the first time with a piece is much more involved. It’s rare I conduct a piece for the first time with absolutely no knowledge of how it sounds. For example, we all know Mahler 2, and during my first job as conducting fellow with the Boston Philharmonic I assisted the conductor Benjamin Zander in countless performances. But the process of learning a piece in order to rehearse and perform it for the first time requires a different type of focus. Usually I start by making sure I can hear every note of the score when I read it. I’ll play parts of it at the piano, sing instrumental lines to myself, and listen to many different recordings. After a few days of that I can open the score at any page and hear all the instruments in my head. Next I begin to really dig in, pencil in hand. I’ll mark which instruments I intend to focus on at each moment, underline any expressive markings I wish to highlight, think about my ideal tempo, and begin forming a blueprint in my mind of how the whole piece unfolds, especially focusing on the large-scale harmonic movements, which are like the foundations of a building. By this point I’m usually completely absorbed, dreaming about the piece, waking up singing it, realizing all sorts of relationships between different parts of it. A lot of this takes place subconsciously, and it’s important that you learn to trust your instincts. One of my teachers used to say that this stage is like making a risotto. You put in the ingredients, turn on the stove and bring it to a simmer, and then pop on the lid and leave it, occasionally returning for a stir to observe how things are developing. Once the season begins, there is no time to do any real thinking about interpretation. You’re on autopilot, finishing one weekend’s concerts and having a day at most (during which you may be travelling) to revive the new scores for the following week. Taking time off in the summer allows one the luxury of learning slowly without the pressure of impending rehearsals. And, of course, everything is easier if you happen to be doing it while staring at the ocean. My colleagues at the Symphony will take over this column for the summer. I look forward to seeing you at the opening of the new season in September! Here’s to a relaxing and recharging few months.